130TR (460kW) RSW system with CO2 flooded chiller for installation on a trawler. Designed to fit into a long narrow space available onboard the vessel. 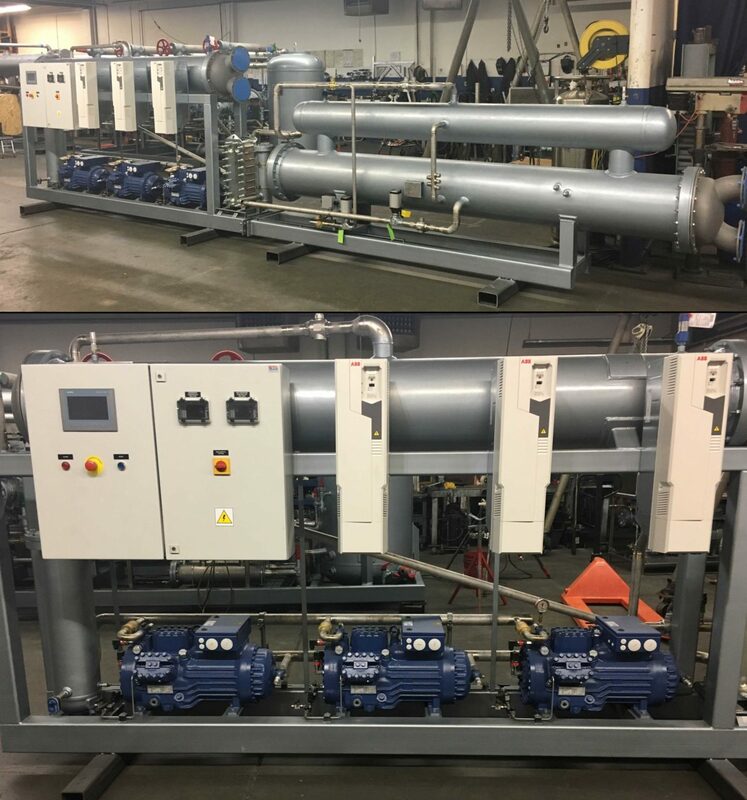 Uses (3) GEA BOCK semi-hermetic trans-critical CO2 compressors, each with VFD, all controlled by a custom PLC system. We specialize in units custom built to fit in available space.